John Armstrong, founder of the unity-minded Act 3 Network, visited Boston last month to lead the Unity Factor Forum hosted by Boston’s new Institute for Christian Unity. Read below to hear his encouraging reflections relating to the unity that He sees within the Christian community in Boston. Blog originally posted here on John Armstrong’s Act 3 Network. Reprinted with permission. I was in Boston for three days last weekend working in a number of exciting missional-ecumenical contexts. Boston is best known, in terms of its Christian leadership, for the work of Cardinal Sean O’Malley. I pray for Cardinal O’Malley, a leader who represents Pope Francis and his vision as well as any American leader in the Catholic Church. Let me explain some of what I mean by sharing about my recent experience in Boston. 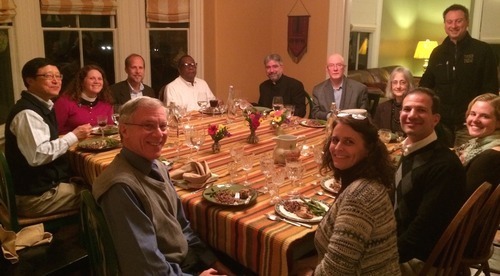 On Sunday evening (November 16) I met with twelve ecumenical leaders from the city. Included among those at the table were some wonderful folks such as the leader of the Massachusetts Council of Churches, the newly appointed dean of the Orthodox Cathedral, the evangelical catalyst for overseeing the joint efforts of ten seminaries in the greater Boston area, a lay leader in the office of ecumenism for Cardinal O’Malley and various religious leaders, both clergy and non-clergy. We were Catholic, Orthodox, charismatic, evangelical, mainline Protestant. We were Asian, white, black and hispanic. We were male and female, young and old. It was quite a group and the energy in the dialogue was rich and Spirit-directed. The prayers moved some of us very deeply and we wept with joy. Friendships were strengthened and made. It was all around a delightful evening meal hosted by two dear Focolare friends that I met in June in New York at the Luminosa Award ceremony. All of these lovely guests are active in mission for unity in Boston. My host for three days was my long-time friend Dr. Mark Yoon and my new friend, Scott Brill. (I also met Scott in June at the Luminosa ceremony.) Scott is an ecumenical leader in InterVarsity Christian Fellowship and the co-founder of the new Institute for Christian Unity. The Institute sponsored our first Boston Unity Factor Forum on Saturday, November 15. You should also check out UniteBoston on Facebook, a movement that is doing some great work in the city. The leader, an energetic and visionary young woman, shared in this same dinner. She has a heart for unity like few I’ve met in the U.S. I look forward to forging new friendships through Unite Boston as she gets to know me better. She is now reading Your Church Is Too Small since I gave her my only copy I took along on this trip. In addition please check out Emmanuel Gospel Center. I will write a longer blog on the EGC mission next week. The story of this evangelical witness in an urban context is truly one of the greatest stories of missional-ecumenism I’ve personally encountered in America. EGC hosted our ACT3 Unity Factor Forum last Saturday, November 15. 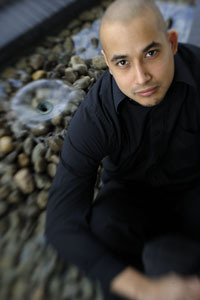 Mark Yoon is the chairman of the EGC board and also serves as the evangelical chaplain at Boston University. Mark and I met a decade ago in Chicago after his daughter studied at Wheaton College Graduate School. I thank God that Grace Yoon insisted that I meet her dad. We did meet and became close friends for life. What God is doing in Boston is truly amazing. One older leader called the Boston story a “quiet revival.” I am inclined to agree based upon my small three-day sample. Here, in greater Boston, the Spirit has been moving for decades. This work is not about politics or ideology but rather about unity, grace and reaching the unchurched with the good news of Jesus. This work is neither sectarian nor overtly linked to any one church expression. One of the greatest visible supporters in this movement of the Spirit is Cardinal Sean O’Malley. Cardinal O’Malley was interviewed on CBS 60 Minutes while we were enjoying our Sunday evening meal. You can see the program online. I will watch the entire program in the next day or so. CBS called the interview with Cardinal O’Malley one which revealed his “careful candor.” I love that. Journalists are missing this “candor” because they do not understand it well but many Christians have missed it as well, including some bishops! The second clip is so fascinating if you want to get perspective on how such an interview is actually done. Pope Francis has called Cardinal O’Malley the leader that he trusts and looks to for leadership in America. I can understand why this is true when I see and hear this man of God speak of the joy of the gospel. Pray for Boston and all Christian believers in this great city. On Sunday morning, November 16, I preached at a young church on the campus of Boston University. This evangelical church, which is less than five years old, draws well over 300 young adults and is growing and reaching the unchurched every single week. (The average age of the congregation that I preached to in the morning was about 23!) Please do not tell me that young adults will not respond to the gospel when it is presented with joy, in the power of the Spirit, and in a context that understands and relates to their story. Cardinal O’Malley: ‘If I were founding a Church, I’d love to have women priests’. Intro: UniteBoston was inspired by Derek Arledge’s devotion to attend the various gatherings around the city during the 10 Days of Prayer in October. This week, Derek Arledge draws some fascinating parallels from his experience with 10 Days Boston and his background in fitness. Church is a part of life, whether folks like it or not. But fitness is also a part of life, whether folks like it or not. Sigh. I was recently a part of 10 Days Boston, a ten day gathering of worship and prayer around Greater Boston. I had the opportunity to visit other denominations as a way of promoting unity among various churches in the Greater Boston Area. While some rank Boston as one of the least spiritually-minded cities in the nation (with a score of 98 out of 100,) my experience proved otherwise. By encouraging followers of Christ to consider others with love, intrigue, fervor, and an open heart rather than bias, I have seen how 10 Days Boston breaks barriers and builds relationships to express unity the way God desires. Additionally, I found that God also has a lot of humor that unexpectedly snuck up on me. Oh yes! If you attend a different church every day for one week, then you have to be physically able, trained and ready for the experience. This brings me to share a bit about fitness. Boston is a dynamic place highlighting many aspects of health; some even consider Boston to be the health mecca of the United States. In fact, there are many parallels between fitness and church, and UniteBoston hints at this parallel. Although there are many houses of the Lord, Boston is not currently known as an area filled with life-giving churches. Someone has to be willing to meet these individuals that are all in for God to dispel the negative stereotype of a church-less Greater Boston Area. So, my encouragement to Christians in Boston is to have an active mind, body and spirit in exploring what God is doing in the city. Indeed, your spirit is the smartest of the three. Let me explain. During 10 Days, I experienced a Korean worship gathering for the first time. This opened my mind to a different way of worship and prayer. In fact, I felt that the convenience of having a translator and headphones enriched my worship experience. As each person prayed, it was very similar to being in a group exercise class. The sanctuary was rightfully dark and intimate like a spin class in the evening. But here at the worship service, the “instructors” kept changing, each person expressing his/her own genre of energy expenditure. This only made me desire more of God and inspire my curiosity to see what the next day would be like. The next service I attended was the Taize service at Trinity Church. 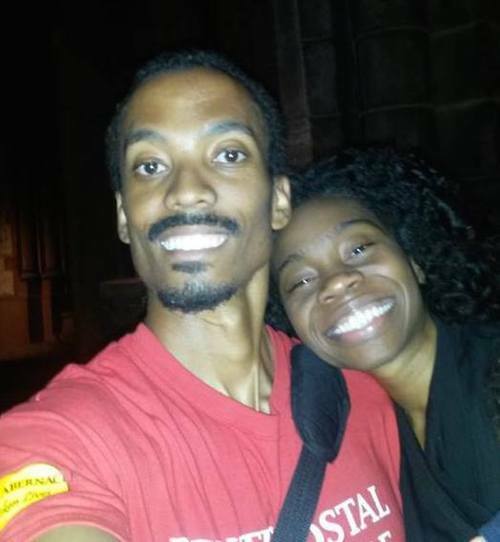 Below is a selfie of my wife Chandace and I at the Taize prayer gathering on Sunday evening. The last time I heard Latin spoken was at Gonzaga High School, so it was somewhat of a shock for me to hear this in a Taize service in a preserved church in the middle of downtown Boston. Honestly, this makes exercising in the oldest YMCA in the middle of downtown Boston a run for its sweat. Sometimes, you just enter a service and everything feels sacred. And sometimes…you enter a gym for the first time and everything feels sacred and sweaty. But, the former wins! After a few days of re-arranging everything on your schedule and getting your family organized to attend these various churches, you thank the Lord that you can actually move well. Then, He reminds you that you need to nourish yourself throughout the day and stretch. Why? A properly nourished individual will want to eat again if they move more. Hence, one take at communion should make a budding, adventurous, and curious churchgoer hungry for more communion and the body of Christ. “Be still” for one second, because as you lift your arms and open your palms as a sign of receiving the Lord, your deltoids begin to develop lactic acid. Lactic acid gets the bad rep of tiring out your muscles, but I think it brings us back to the Lord to remind us that He is where we draw our strength from. Practice makes perfect. The energetic services at these UniteBoston gatherings included many prayers. Many people were blessed as a result of lifting hands high. As Christians became healthier spiritually, I believe that the city of Boston and indeed the world was impacted mightily. All in all, I learned that the city of Boston has some serious worshippers. In my mind, Boston is not only a city that is among the first in health but also a city known for its love towards the Lord! If you have not heard of the new Institute for Christian Unity ministry here in Boston, you will soon. It’s only a few months old, but they are already mobilizing churches to be a part of God’s work here in Boston and around the world. 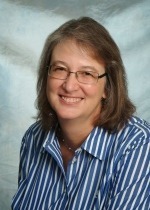 Dedicated to the full visible unity of Christ’s church, INCU’s activities include mentoring associates to advocate for Christian unity, engaging in high-level dialogues, and hosting bimonthly WEE forums engaging Christians around issues critical to the life and flourishing of the Church. A few months ago, INCU came across an opportunity to be a part of a worldwide mission project. Through contact with missionaries, INCU learned that there was a school currently being built in the remote highlands of Papua New Guinea that served extremely poor children from the Kiripia District. They wanted a school library but had no books. INCU responded by linking churches and denominations cooperatively to found this library. Through contributions from Evangelicals, Presbyterians, Episcopalians, and Catholics over 500 books have been gathered already. INCU has already brought this project to Cardinal Sean O’Malley and to Bishop Alan Gates of the Episcopal Diocese of Massachusetts, who are both interested in the project. This story is just one of many showing that we can do more when we work together. Are We Willing to be Interrupted? This week, Dana Baker, Pastor of the new Grace Chapel East Lexington Campus shares how God spoke to her through a unique experience during 10 Days Boston. Her insights are truly something we all can learn from. How is it possible for someone to attend something for several years and miss one of the most important things that is being said? This is where I found myself during the most recent 10 Days Boston. But God took that word that night and turned it towards me and asked, “What would it look like if you stopped your normal routines for 10 Days, and joined with others in prayer and worship?” I had always thought that I had participated at a pretty deep level for the past several years, attending multiple evening gatherings, but I have never “stopped” for the 10 days. I had been a little less involved this year, because of the Grand Opening of Grace Chapel East Lexington where I am the campus pastor. The Grand Opening was on the Sunday right in the middle of 10 Days – September 28th – one of four churches with grand openings that weekend. I remember thinking that perhaps God was stirring in a unique way this year, and I was touched to be leading one of those churches. Even though I felt a bit overwhelmed by all the details that the Grand Opening entailed, I led one of the prayer segments – “Discerning Brokenness” – at the Northern Suburbs Gathering. I didn’t real feel I had the time, but God had confirmed through several people that I was supposed to say “yes”, even though I had tried to say “no”, several times. In the week following the Grand Opening, I had signed up to lead one of the morning prayer sessions, thinking I would have more time. But when it came to that morning, I woke up wondering, “Why did I say yes to this?” It was cold, rainy, and the prayer was scheduled to be outside. I kept thinking about all of the follow-up that I had to do. Even Kelly was tired and not sure whether she would go. But despite our feelings, we went anyways. 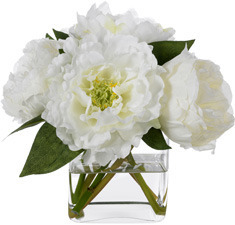 When we arrived to the nearby church office, it was filled with flowers – centerpieces of beautiful white peonies to be used at a banquet that evening. They were scheduled to be moved right in the middle of the time we wanted to pray. So I offered to stop what we were doing and help move the flowers to the vans when it was time. Sure enough, about thirty minutes later, they were ready for our help. By that point we were deep in prayer, and it felt extremely inconvenient for us to stop what we were doing. I wondered why I had been so quick to offer – but because we had said we would, we went. I felt that God was saying that to all of us – and then I remembered Jonathan’s words. I spoke with Jonathan a week or so later and asked, “Have you always shared that part of the vison?” And he said that he had, but I was not the first to miss those words. In fact, one of his discouragements in the early days was that so few people did stop for 10 Days. But God kept telling him to not worry about the response, simply share the vision, and trust God to touch hearts. So I shared with many others since then the question I heard that day in Cambridge as I moved beautiful centerpieces of white flowers for a pastor I had never met before, for an event I would not attend. Are we willing to be interrupted? And, are you willing to be interrupted?